If we fear interstitial nephritis then before prescribing PPI's we ought order Serum Creatinine and Uric acid and test urine for excretion of Glucose Bicarbonate Phosphate Uric acid . These tests will become abnormal if the Tubules of the Kidney become damaged as in the Fanconi Syndrome . Interstitial nephritis occurs early within days or weeks so test Weekly after introduction . As for Iron the belief is ferritin is absorbed in the duodenum according to many and gastric acid is not needed for heme absorption though it is for non heme . Dementitia seems an unproven side effect Gastrobleeds would be very much more serious . Co-Therapy of PPI's with the Direct AntiCoagulants and Warfarin reduce Gastro Intestinal bleeding markedly and are more effective than H2 Antagonists . Ray WA et al JAMA 2018 Dec4 ;320(21) 2221-2230 . Perhaps it is coming in a future episode but I would love a "how to" segment on how exactly to deprescribe PPIs. I'm certainly not starting long-term PPI use in any new patients but seems like any new patient to my practice has already been on these for years without clear indication. I do my best to use the algorithm from Deprescribing.org (https://deprescribing.org/wp-content/uploads/2018/08/ppi-deprescribing-algorithm_2018_En.pdf) but, honestly, I've maybe had success with a handful of motivated patients and the rest are still on them. How do we fit in this conversation during 15 minute OP visits where 15 other items seem to always take priority? What a great idea, Christopher. It can feel overwhelming to actually DO the thing of deprescribing PPIs. While no specific tapering method has been found to be superior to any other, a common strategy is to decrease the dose by 50% per week. For example, go from BID dosing to daily dosing one week, then cut that dose in half the next week, then move to every other day dosing the following week. And as for your last question, about all the items to discuss in a 15-minute visit... I feel your pain! So very much. We'll add this to our list of topics to cover. Thanks for writing! Thanks for covering this difficult topic. It still is not clear to me from these papers as to which of these PPI-associated outcomes are linked specifically to proton pump inhibition versus acid suppression overall. 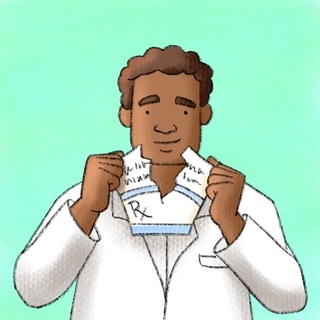 Without a mechanistic understanding of risks and benefits, it becomes hard to counsel patients whose chronic symptoms are not successfully controlled with lifestyle modifications alone.